It is difficult enough trying to summarise the huge diversity of things to do in Mozambique, without having to trim it down to only 5 of the best. Mozambique is one huge, beautiful, tropical African country that offers the average traveller the world on a golden plate. While this picturesque holiday destination is still in the throes of development, it continues to hide a number of spectacular and pristine wilderness regions. Travellers who have a will to get there will get there, using 4×4 vehicles, private charter planes and helicopters. Read here about a once-in-a-lifetime holiday at resorts like Casa Babi, Maputo Elephant Reserve and Ilha de Mozambique. Swimming with the dolphins at Ibo will be the cherry on the top! The best time to travel is probably towards the end of the summer rains which fall between December and March. As we all know, weather patterns across Africa, and the rest of the world are becoming increasingly unpredictable. This is no doubt caused by global warming which is caused by human activities. There are more stories about floods when there should not be rain, drought when there should be rain and other natural disasters such as earthquakes, mudslides and new diseases. Dare we blame this on over-population? Don’t go there! Instead, let’s make an attractive list of the 5 top things to do in Mozambique – before it’s too late! 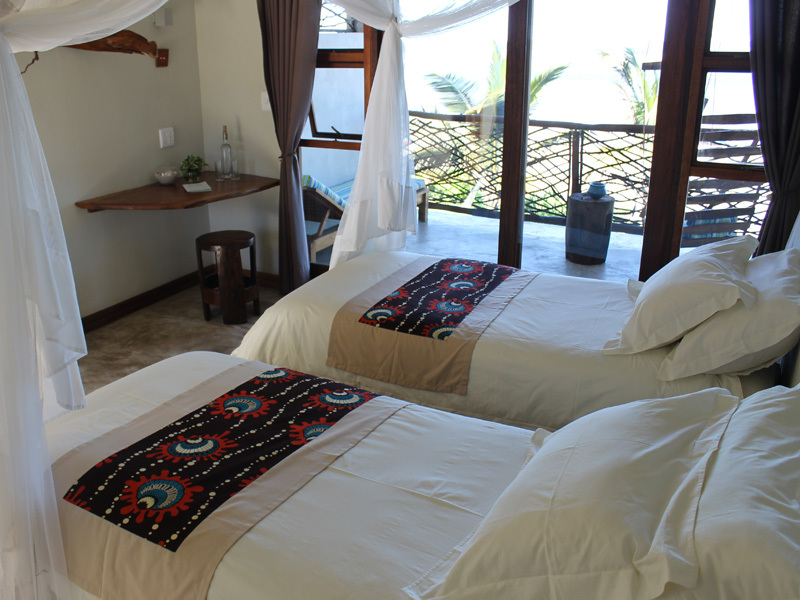 If you are looking for an exquisite holiday resort right on the shores of the blue Indian Ocean, then head to Vilankulo, to Casa Babi, where the view is as dynamic as the tides. The stillness of the ocean reflects the sunrise when you awake, and the moonrise when you go to sleep. 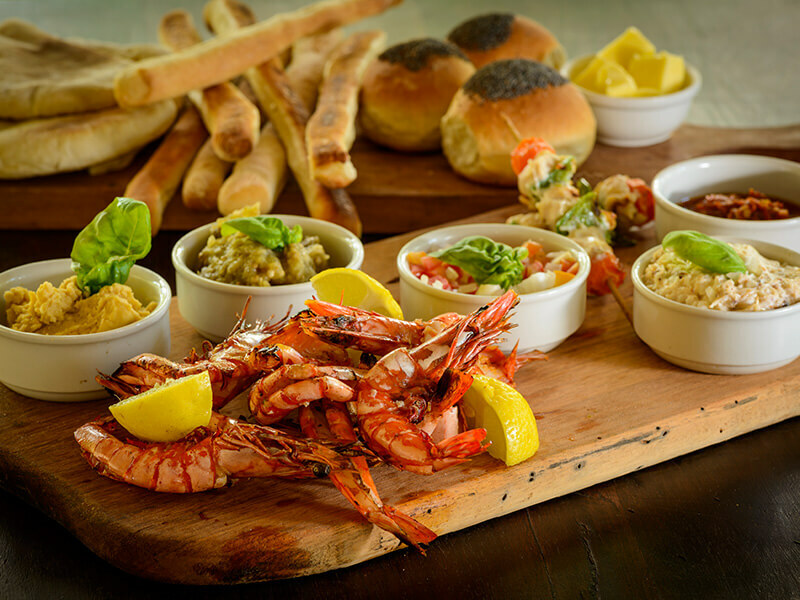 Enjoy tantalising cuisine in the French tradition where local produce and fresh ocean fish are the main highlights. Who needs to seek out a restaurant when you have this in-house eatery offering you supreme value for money? As if that is not enough, skilled staff go out of their way to ensure your complete comfort during your beach holiday – go snorkelling with your partner while your kids are entertained by people who care. You can spend long evenings watching the sunset or, during the day, be amazed by the changes of the tide. 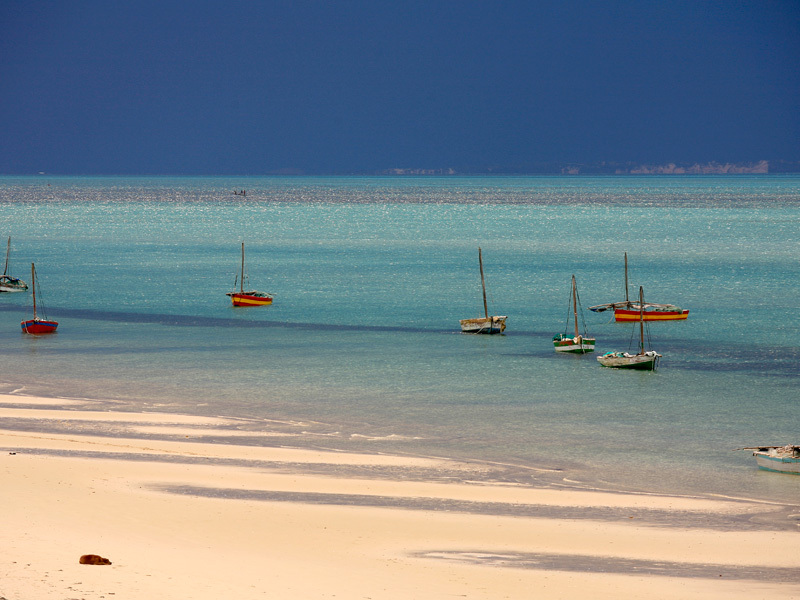 When the tide is at its lowest, it feels like one could walk over to the Bazaruto Archipelago, although it is a 30-minute boat ride when the tide is high! See unforgettable Rays when you go diving and return to the welcoming swimming pool and comfy bungalow with its stylish décor. At Casa Babi, you can truly enjoy life so get yourself there! 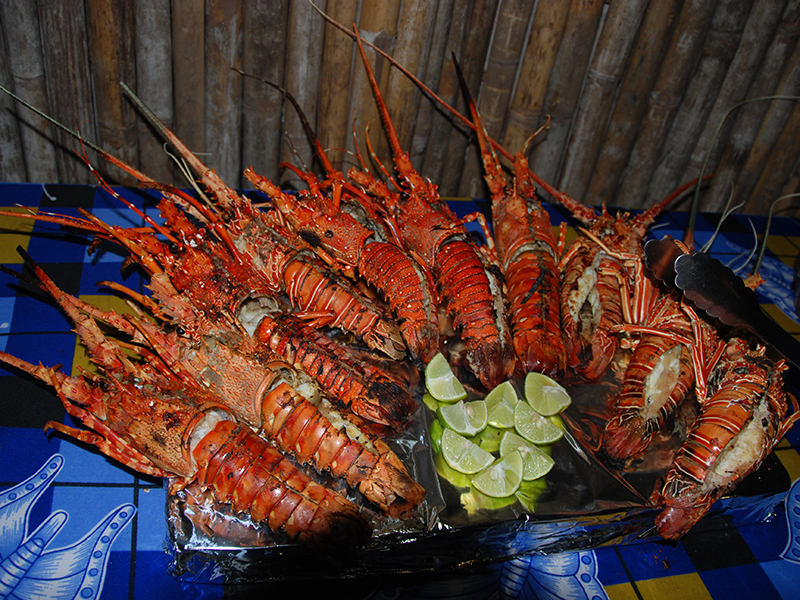 Mozambique is renowned for its huge prawns, succulent crayfish, scrumptious octopus and other delicious seafood, fresh from the ocean daily. This African beach destination is highly rated by food connoisseurs who go there to also tuck into the Portuguese bread, the home-grown cashew nuts and coconuts, the peri-peri chicken and Prego rolls! 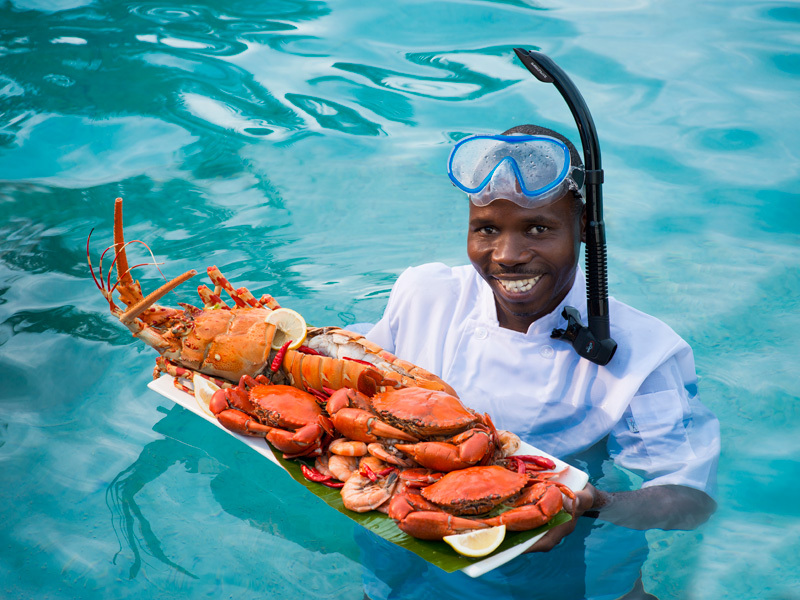 It is amazing that chefs can prepare nouvelle cuisine on remote islands with all the logistics they have to deal with – local is lekker in Mozambique. It doesn’t matter where you are staying, your taste buds will be continually satisfied. If you haven’t yet explored the fascinating island off the north coast of Mozambique commonly known as Ilha de Mozambique, there is always a first time. This tiny island was once a vital Arab trading port and today you can find remnants of its complex history and stroll through colonial buildings, some ruins and some revealing Islamic and African relics. Look for the oldest European building in the southern hemisphere, the Chapel of Nossa Senhora de Baluarte built in 1522 by the Portuguese. Understandably, the island is a famous UNESCO World Heritage Site – Ilha de Mozambique is one of Mozambique’s fastest growing tourist destinations. So, where do you stay when you visit this floating haven of history? Try the charismatic Hotel Escondidinho, a renovated 19th-century house that offers typical Mozambique accommodation for 20 people in 10 unique rooms. Once a trading house where slaves were kept, this funky hotel is the perfect base from which to explore the island. Hotel Escondidinho can be found on a quiet street in Stone City, its shady courtyard and great restaurant offering welcoming respite from the heat. Or, for something completely different, book your room at the Villa Sands Boutique Hotel which has been created from three old warehouses. This island hotel offers eight en-suite double rooms and an exclusive rooftop suite – all with private verandas. Spend long days chilling at the seafront terrace swimming pool or try the fresh shrimp, a seafood delicacy on the island, and beautifully prepared at Villa Sands by the local chef. 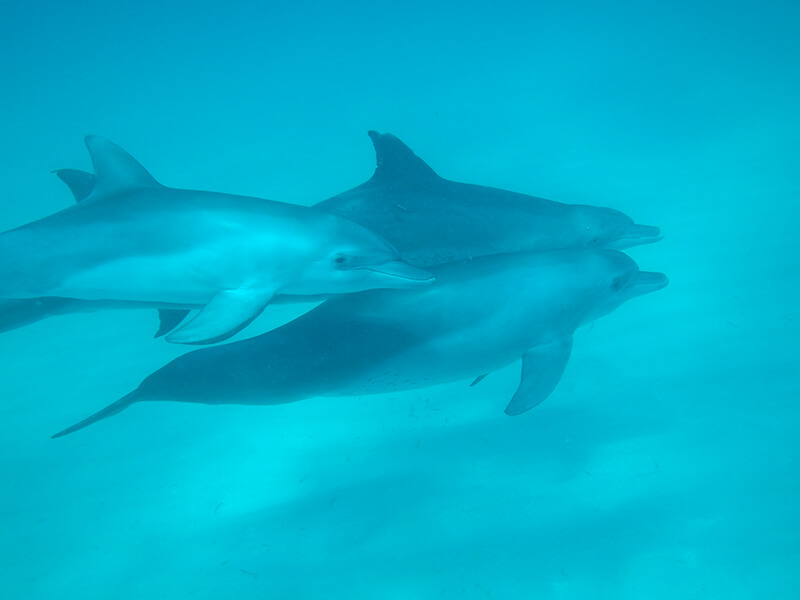 Divers in the Quirimbas Archipelago usually come across playful dolphins in shallow tropical waters around Ibo Island, where they can be easily seen swimming along the sandy bottoms. Whatever happens, you will never forget the time you spend below the surface of the water with these special creatures. Did you know that when people mingle with dolphins, it boosts their immune systems, improves their self-control, self-assurance and attention spans and even deepens their sense of compassion? Dive Quirimbas activity centre is very proud to be an Ethical Marine Mammal Campaigner in Mozambique which supports the Dolphin care code of conduct. Crew and dive instructors make sure that both your experience and the Dolphins’ best interests are taken into consideration. More and more visitors to the Quirimbas want to be part of unique Dolphin encounters – your professional guide will take you through the steps to get close to dolphins as they cavort in the warm waters of the Indian Ocean. 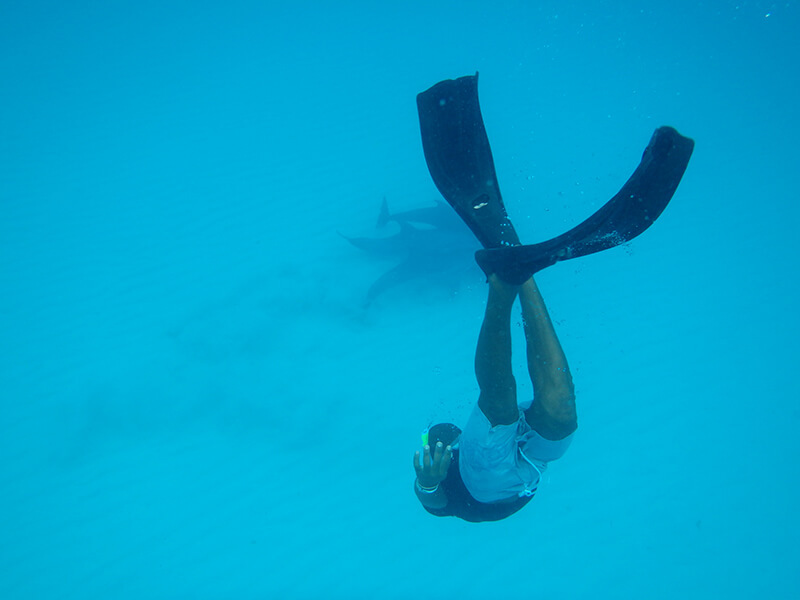 You will find peace of mind, a complete sense of relaxation and just be in the moment when you swim with dolphins. 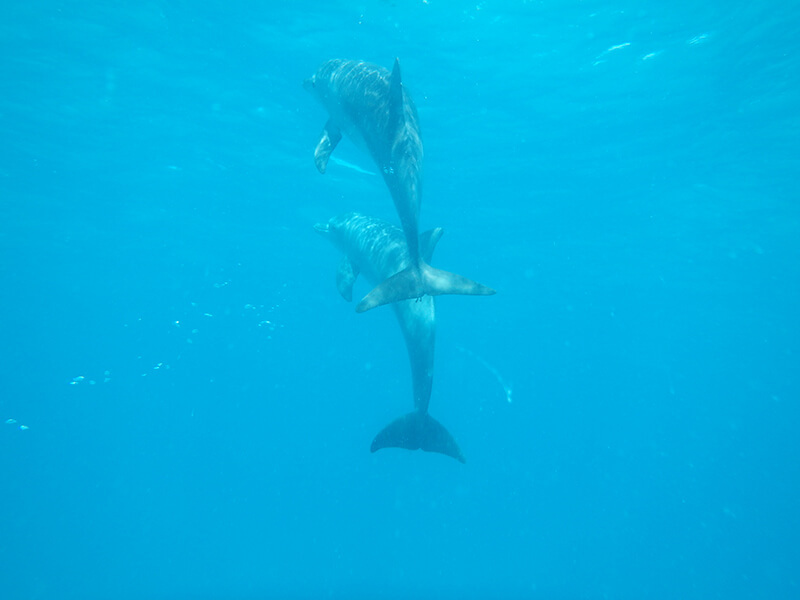 Every dolphin encounter is unique, some longer than others. Dolphins love to play, but sometimes they would rather be feeding and move on, away from the human swimmers. The best way to get to Maputo Elephant Reserve, one of the most rewarding safari destinations in Mozambique, is to use a solid 4×4 vehicle to manage the roads. Some travellers have reported that the road from the ferry is a disaster, littered with broken down vehicles with collapsed suspensions and broken axles! You enter the reserve at the official entrance where signs tell you not to camp and drive off road – then why do so many travelers (many of them South African) enter the park where they want to (there are few good fences) and drive all over the terrain, then set up camp where they feel like it, on the lake. Rules are there for a reason and this type of behaviour can be detrimental to all life. We should all want to protect and nurture the stunning natural world around us, especially during present unstable environmental times! Moving on, camping at Milibangalala is probably one of the best holidays in Mozambique’s wilderness you will ever experience. Go out of season and you will have the place to yourself. The roads are sand tracks, the animals shy of people. If you are lucky you will find breeding herds of elephants, and hippos in the lake. Watch wildebeest grazing and zebra cavorting in the short vegetation. If you are a bird lover, you will be in heaven – find several species of Bee-Eaters and Rollers. And if you love fishing, you will be in second heaven. Milibangalala is very rustic with long drops for toilets and water from a well – eco camping at its best. The best part about this campsite is that it is situated close to a beach where turtles breed and play. Remember to take plenty of fresh drinking water just in case, your camera, walking shoes and sun hat. Roads are well signposted and you will find yourself close to the Santa Maria Peninsula. 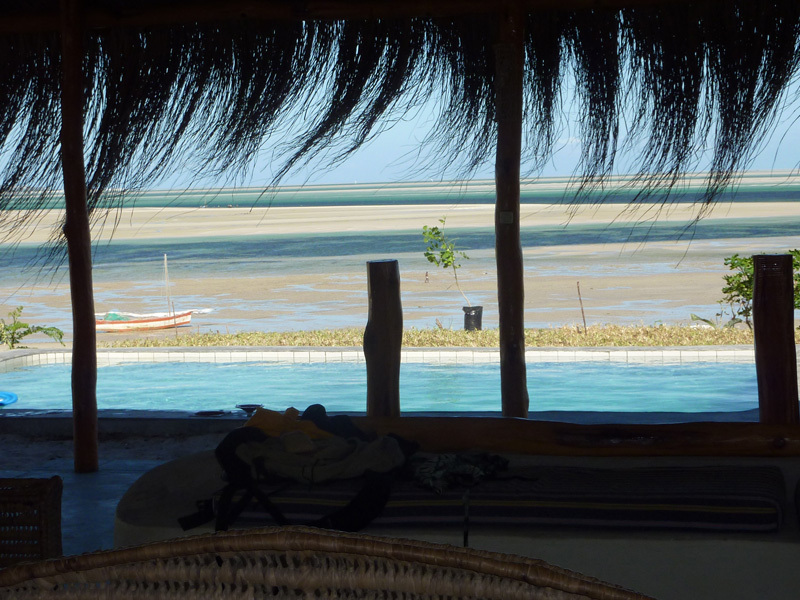 Get there and enjoy the Mozambique that very few travellers know about. We can assist you to plan your Mozambique holiday to do one or all of these best five things to do. Contact us here today.